I couldn’t believe it was him, but it absolutely was. So after a few minutes of smiling at his random mutterings, I thought, “What if I can get him to talk to me?” I could interview him and find out what is really planned for the mercato. And with him being asleep, it would be almost like a truth serum, too. I could get all of the transfer plans, straight from the horse’s mouth. Me: Adriano? Can you hear me? It’s me, Barbara. Me: Yes, it’s me. I wanted to ask you about the mercato, to clarify some things we’d talked about. Is that okay? Me: Are we still going after Honda? Because the competition from the English clubs is starting to make me nervous. Galliani: You know we are. And you know he wants Milan, too. He’s said over and over he wants a big club, I don’t know anyone who thinks Everton is a big club, do you? Me: No, of course not. But you won’t let him get away, will you? Going back to the 4-3-1-2 like everyone agreed on is dependent on getting a proper trequartista. Speaking of trequartisti, do you have anyone interested in Boateng? Galliani: No one has made an offer, but I have a few clubs who have asked. The problem is that Allegri played him in the wrong position last year, so we may have to offload him for less than we’d like to. But please stop saying trequartista in the same sentence as him. He’s a midfielder, he was never meant to play in that position. Me: I’m sorry, of course. And what about Robinho. Can we really not bend on the price? Everyone wants to see him at Santos, and €2m is hardly going to make or break our mercato. 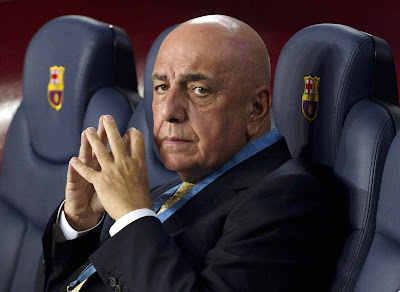 Galliani: Well it’s not just the transfer fee, he is being unreasonable as to his wages, too. But of course we’ll do our best to offload him. He’s way too expensive for our wage bill. Me: What about Poli? How are the negotiations going? 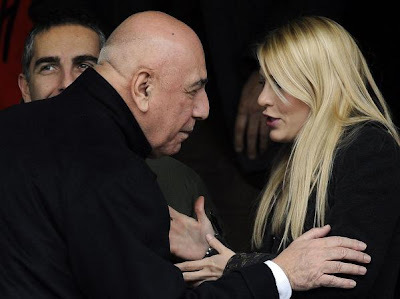 Galliani: I am just waiting to get some players off of the roster so we can make it official. 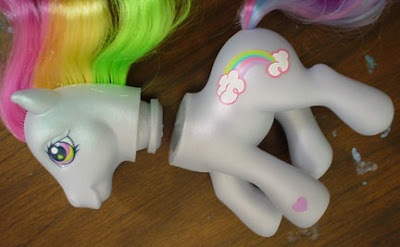 I don’t think there will be any problems. Me: Good. Hey, I have a more personal question. How are you really doing about the whole Tevez deal? I know you spent a lot of time over the past couple of years trying to bring him to Milan. Are you okay with it? Galliani: Well I really wanted him, but in the end, he wasn’t good business. I don’t know what I’ll do if he scores on us, though. He is kind of like that woman you know you’ll never get, but you try anyway, except he is much uglier, of course. Me: Of course. Thanks for answering my questions, Adriano. Get some sleep. As I got up to go back to my seat, I realized I wasn’t on a plane at all, and that perhaps this whole thing was just a dream after all. I had followed my own advice and fallen asleep. So I guess it never really happened, especially considering my Italian is almost non-existent. But I will say this. This may not have been from the horse’s mouth, but if this mercato goes as badly as last year’s, someone may find a horse’s head in their bed, if you know what I mean. Galliani, I’m counting on you to pull this off. This whole past year is like an episode of CEO’s behaving badly, now it’s time to step up and deliver….. please?